Barrett 18641: The Model 99 is designed for one thing only: to get the job done. With its brilliantly simple design, hard-core construction and surprisingly few moving parts, it offers match-winning accuracy time and time again. Smooth functionality with dead-on accuracy, shot after shot, the Model 99 in .50 BMG is competition ready. 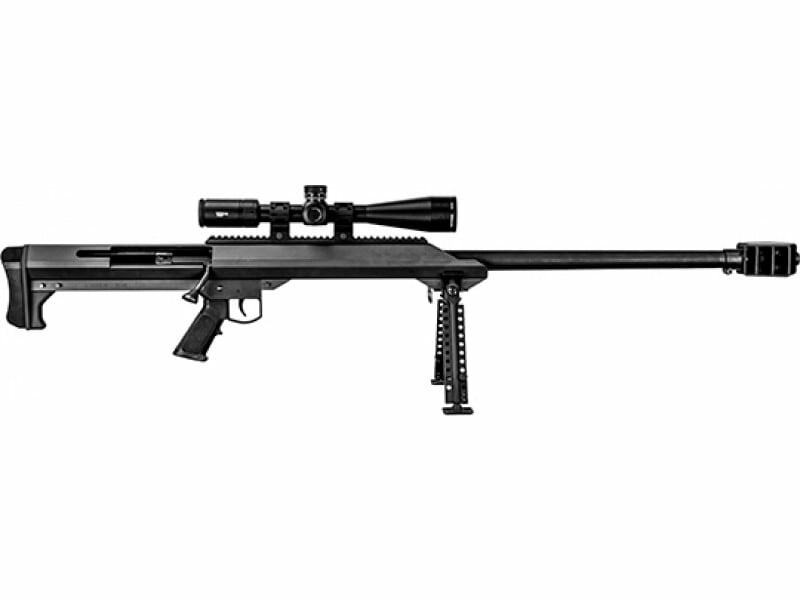 At the heart of this robust and accurate bolt action rifle is a one-piece 7000 series aluminum alloy extrusion. A heat-treated steel M1913 rail is attached to the top of the extrusion by closely spaced high-strength bolts. The match grade barrel is pressed and locked into the receiver, creating a solid unitized structure on which to mount a rifle scope. The Model 99 barrel is made in a heavier contour to ensure repeatable accuracy. This model comes with a Vortex VIP 5-25x56mm scope.